Amy Schumer’s first pregnancy is not going well. The actress was forced to cancel a show in Texas on Thursday night after she was hospitalized with severe pregnancy illness called Hyperemesis Gravidarum(HG). The same complication that has struck Kate Middleton with all three of her children, HG can cause a mom-to-be to lose her baby if not treated immediately. Often a first-trimester complication, it lasts significantly longer than morning sickness. 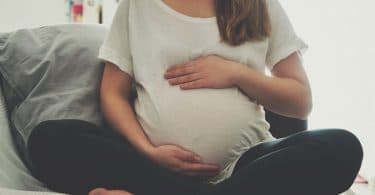 Women who continue to experience it in their second trimester will experience severe symptoms until they give birth to their baby, and sometimes even after giving birth. Amy is now in her second trimester so she could be hospitalized in order to ensure the baby continues to grow and she is staying healthy. Amy is currently on tour with 17 dates booked almost back to back until December 23rd. That’s a pretty aggressive schedule for a person who’s not pregnant. We medical staff is able to keep her and the baby healthy enough so she can fulfill her commitments. Do Omega-3 Fatty Acids Reduce The Risk of Premature Birth?